CLOSEOUTS. 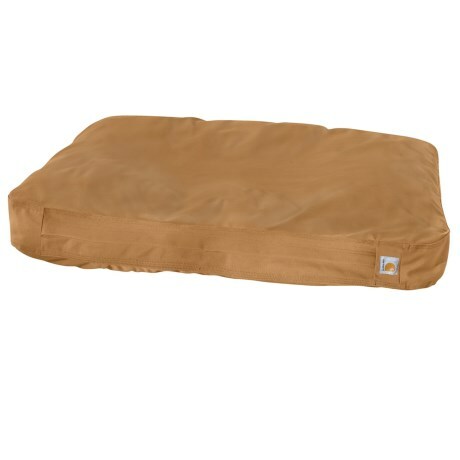 As tough as the brandand#39;s work wear, Carharttand#39;s Cotton Duck dog bed is made from super-durable 12-ounce cotton duck and has a removable inner cushion to keep your pup comfy. Available Colors: DARK BROWN, CARHARTT BRONW. Sizes: M.